CHICAGO, IL (December 26, 2016) – When a small group of residents who live near North Park University designed posters with the words “Hate Has No Home Here” a few weeks ago, they never expected their work to end up in the hands of Khzir Khan, who was photographed with one of their posters at a banquet sponsored by the Council on American-Islamic Relations in Arlington, Virginia. The group discovered that an eight-year-old girl gave the poster to Khan, the Gold Star father who has spoken out against racism and religious intolerance. They have no idea who the girl was, but they saw the event as evidence of how widely their neighborhood effort has spread. The group has since printed hundreds of lawn signs, and is now expanding to bumper stickers, window clingers, and considering other possibilities, Peterson said. The original signs were printed in English, Arabic, Urdu, Korean, Hebrew, and Spanish, which are the dominant languages of the North Park neighborhood. The group is working with Heartland Alliance translators to provide other languages. More than 27 translations are now available, including Polish, Hmong, and Farsi. 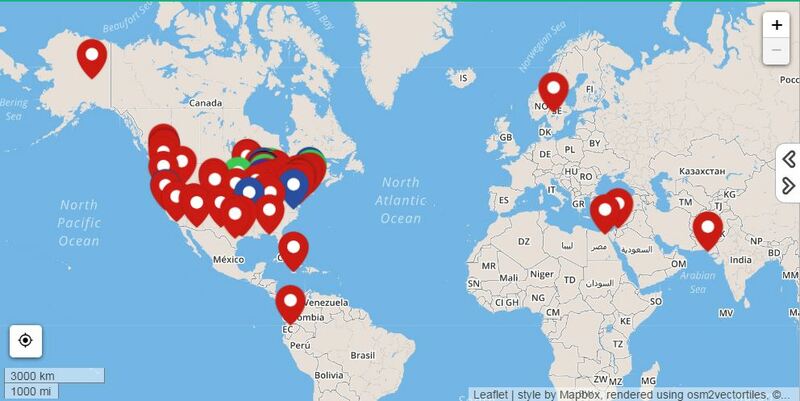 The movement has now spread far beyond the Chicago neighborhood to 29 states and several countries, including Sweden, Ecuador, and Egypt. Steven Luce, who lives in the neighborhood and is director of creative services for the Covenant, designed the logo. “We wanted to create a nonpartisan symbol that represents America at its best, when love of country and love of neighbor work hand in hand to chip away at the walls that divide us,” he said. 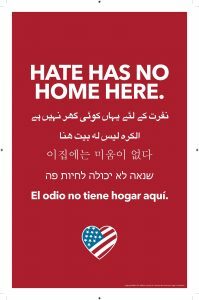 Hate Has No Home Here is a neighborhood-based movement that seeks to counter racism and intolerance through positive messaging and community-building practices. Because they are nonpartisan, they make all posters available in both red and blue. In addition to Peterson and Luce, other Covenanters also in the group are Barbara Nordlund and Jeanne Marie Olson. The group is now enlarging the size of their steering committee to reflect greater diversity and planning an event for 2017. Peterson said they want the event to be a place where community members of all nationalities, ethnicities, and religions can gather and get to know one another face to face. Yay for Covenant people responding in love! Pictures are indeed worth a thousand words. 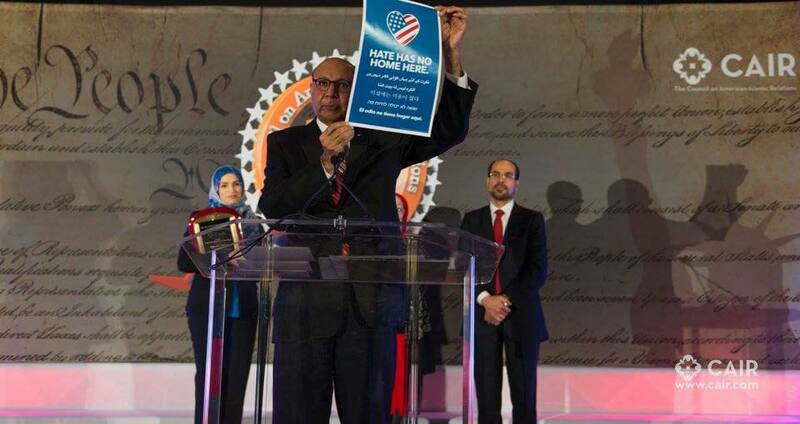 The picture was taken at the CAIR convention. Educate yourselves on this organization. You will find the irony of holding up an anti-hate poster there. Big Q: If someone gave you $1,000 to play hooky for a day, what would you do?